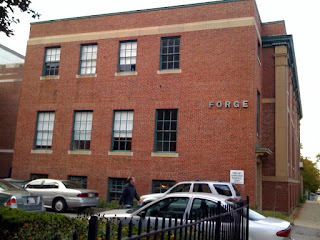 Chip O'Toole's Blog: My new job at Forge! My new job at Forge! Good news, my unemployment stint only lasted a few weeks, and I'm happy to say that I'm the newest addition to the creative team here at Forge. I'll be doing some design and art direction here, and after my first week, starting last monday, I'm very excited for the caliber of work we do, our client list, and most of all, the great people here. More to come . . .